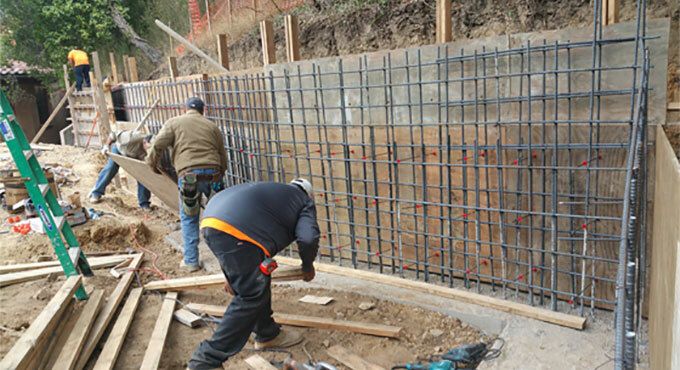 This construction video focuses on how to construct a concrete retaining wall with the use of waler bracket system. The project started by drilling approximate 18 - 9/16 holes in ¾ inch plywood. As soon as the concrete footing is poured, a couple chalk lines is snapped to position the footing plates with 2*4 doug fir. In order to make the wall stable, it is set up form aligner braces with the 2 *4’s. The same method is used for aligning the retaining wall. Waller brackets are used to support the back of the concrete form.